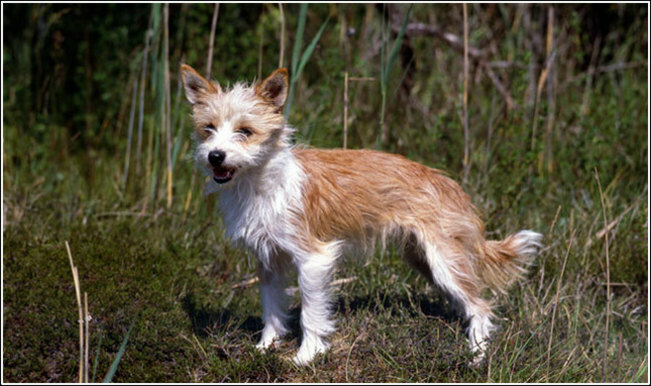 Portuguese Podengo are primitive dogs who were originally bred for hunting. While the pequeno which is the smallest of the variety hunts rabbits the two bigger counterparts can hunt deer and wild boar as well. These dogs hunt in packs. 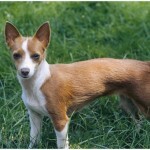 The Pequeno variety has also become fairly popular as a pet these days. 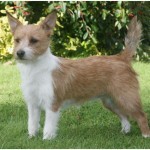 These are very lively and agile dogs that are also very friendly and loyal to their masters. They are wary of strangers and thanks to their inherent chasing instincts and fearlessness make for great watch dogs. This hunting breed was developed from ancient hounds who came from Asia Minor to the Iberian Peninsula. They date as early as 1,000 BC. This breed was developed mainly for hunting purposes and was used for its ability to make way through the rough terrains of Portugal. This dog first came to the United States as late as the 1990s. 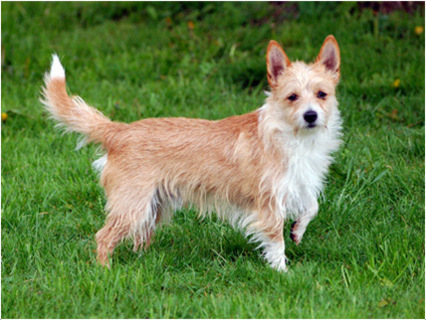 The Portuguese Podengo are exceptionally healthy dogs. They have very few genetic diseases. The only ones that have ever been registered are Leg Calves Perthes and Luxating Patella. Either of these diseases can cause lameness; however both are generally evident much before breeding age. Thus, these problems hardly if ever enter the general gene pool. 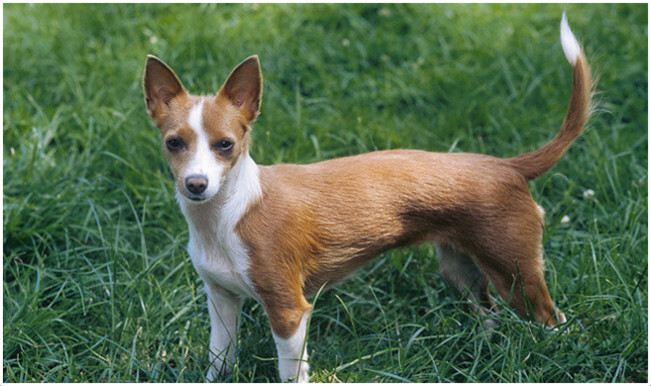 Portuguese Podengo Medico and Grande are both hunting dogs and are not really meant to be kept as pets. A Pequeno on the other hand is becoming very popular as a pet especially amongst owners who enjoy the company of a less domesticated dog. This is no lap dog but it can be fiercely loyal and is generally friendly with children and other pets. Socializing should begin at an early age. These are very agile and active dogs. This breed is used to hunting from morning till night and then getting back to work the very next day. Thus, these are exceptionally active dogs that need to be outdoors performing physical activities for a major part of the day. They need continuous mental and physical stimulation and should ideally be exercised in enclosed areas as they are prone to chasing. 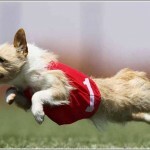 These dogs are very intelligent and respond pretty quickly to obedience training. However, they can be really independent thus the trainer needs to establish some basic rules pretty much at the beginning. 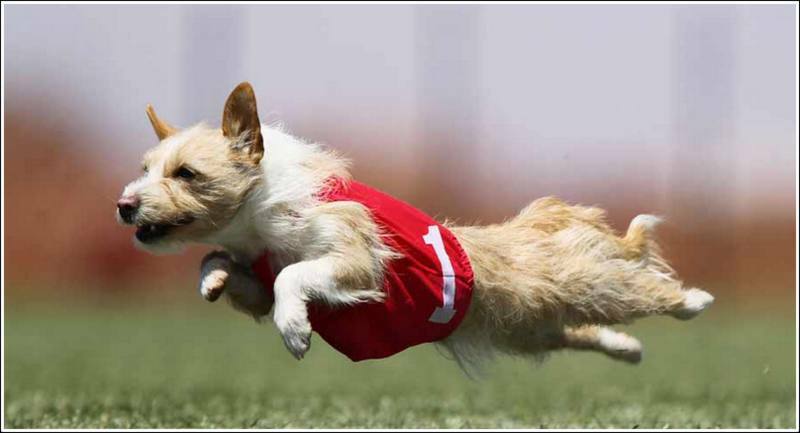 All training should be accomplished in a fenced yard with higher than normal fences as these agile dogs can often jump very high. Recall training is important for this breed. These are lively dogs that need to be on the go most of the time. They bond well with family members and need to be in the thick of things most of the time. 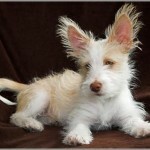 A Portugese Podengo that is relegated to a cramped backyard is not really a happy dog. 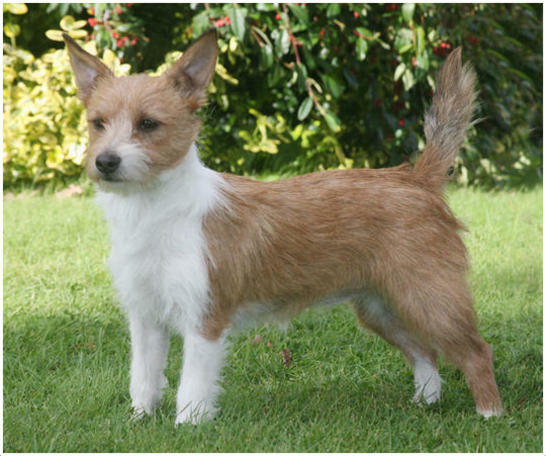 These dogs have wedge shaped heads and erect ears. Their coats can either be soft and really dense or harsh with wiry long hair. 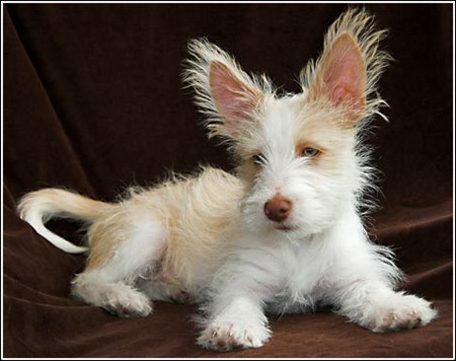 A Portuguese Podengo Pequeno weighs somewhere between 9 to 13 pounds and is around 8 to 12 inches tall. The Medico and Grande varieties are much bigger and heavier. This breed can have two types of coats. It can either be soft or wired. The soft variety is really dense while the harsh one has longer springier hair. The preferred color for these dogs is yellow or fawn. There can be some white markings on their coats. This breed does not shed much and requires very little in way of grooming. Regular nail clipping, an occasional brushing of their coats and intermittent shampoo baths are all that are required to keep these canines clean. Pequenos have small bodies while Medicos and Grande have bigger and stronger bodies. 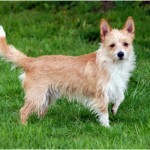 A Portuguese Podengo Grande can jump as high as 5 feet and can also dig deep holes. 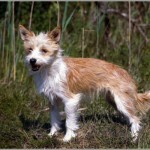 A Portuguese Podengo is a very hardy dog and does not really require too much care for it to be healthy. The only thing that it requires in abundance is physical activity that is undertaken outdoors. It is not an apartment dog and should not be kept in one else it can become aggressive or withdrawn. A grown Porutguese Podengo generally needs to eat once in a day, however some might prefer you to split the meal and give smaller portions twice a day. The food should be fresh and can be a mixture of canned food and water. Fruits and vegetables are also liked by this breed. It is advisable to refrain from giving food from your table as these can lead to mineral imbalances, obesity and a pet who is an unusually finicky eater.